Ready to plan your next family vacation? 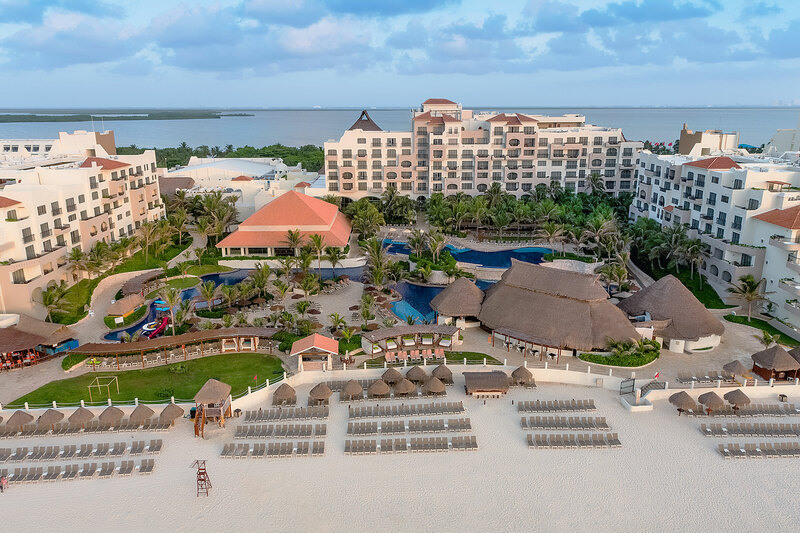 We’ve chosen our favorite all inclusive Mexico family resorts for 2019, with family-specific amenities, accommodations and ratings in mind. 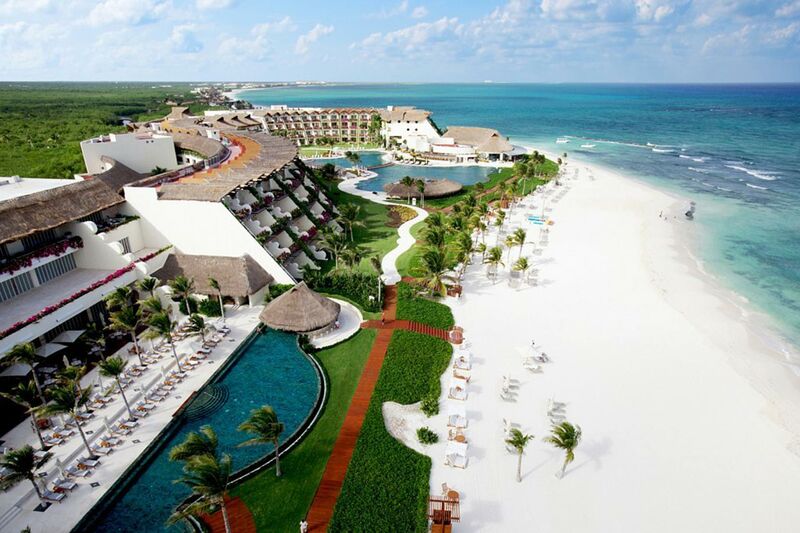 We’ve also personally visited these all inclusive Mexico resorts, and can attest to how amazing they truly are. Fiesta American Condesa Cancun lives up to its name with fun for the whole family. 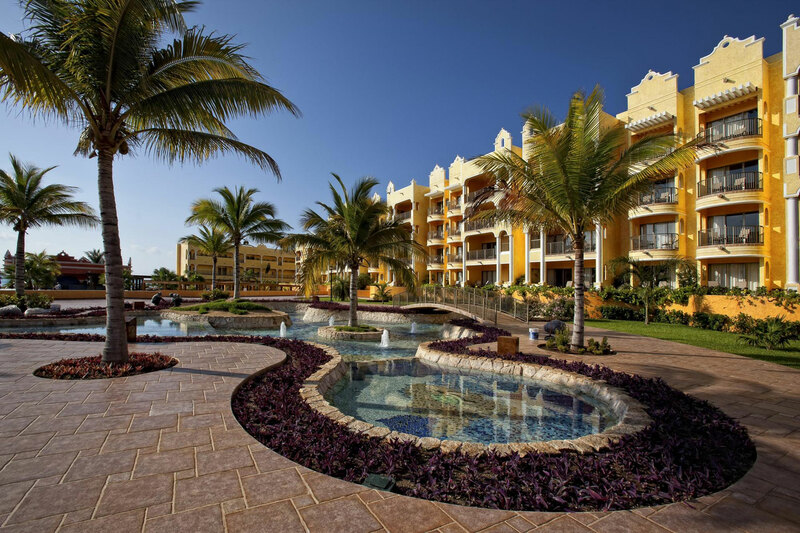 The beachfront resort fully embraces Mexican culture, which guests can enjoy through food, music, and more. Don’t miss the poolside Mexican Fiesta, with costumed performers, churros, balloons and other treats! Families interested in local culture will love it here, as excursions to Chichen Itza, Xcaret and more are available with tours leaving from the hotel itself. The all-inclusive rates include kids’ and teen clubs, entertainment on select evenings, an incredible range of dining options, and modern, spacious guestrooms with balconies. With nearly 50 of the resort’s 287 rooms dedicated as Family Suites, the Beach Palace Cancun is an easy choice for families. Now consider that 20 of those suites come with three hours of nanny service, and it becomes one of our favorite all inclusive Mexico resorts! 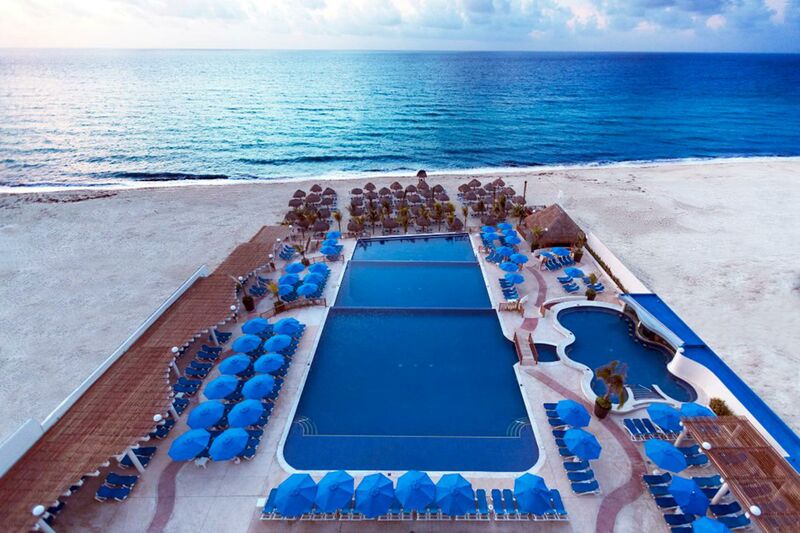 The Beach Palace Cancun also features a kids’ club, complimentary shuttle service to the nearby water park, a teen disco, video game tournaments and special kids’ menus, not to mention the wide expanse of beach and beautiful pool. Sign up for free snorkeling, kayaking and sailing trips as soon as you arrive at the ultra-luxurious Grand Velas Riviera Maya. When you find your stomach rumbling after a day of activities on the beach, head for one of the many onsite restaurants, each serving a different cuisine — you can have Spanish-inspired dishes for lunch and then Italian for dinner. Enjoy nightly entertainment while children between ages 4 and 12 run off to their supervised programs. Little ones can learn Spanish and make balloon animals while tweens can rock out in Guitar Hero tournaments. Plus, there is 24-hour room service in your spacious, 1,270-square-foot suite for those must-have, late-night snacks. Traveling with a baby? Grand Velas Riviera Maya also has a Baby Concierge! Ask about baby’s first haircut, nanny services and special amenities just for little ones. 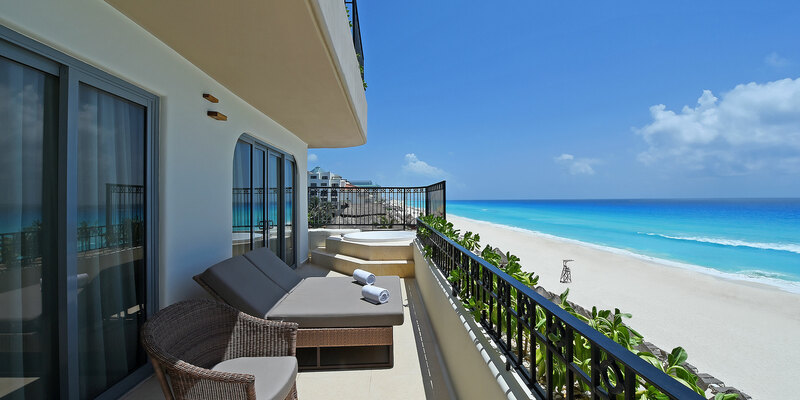 One of three connected properties, the Moon Palace Cancun connects to the Nizuc and Grand Moon resorts with shared programming, dining and amenities, meaning more bang for your buck when staying in Cancun. 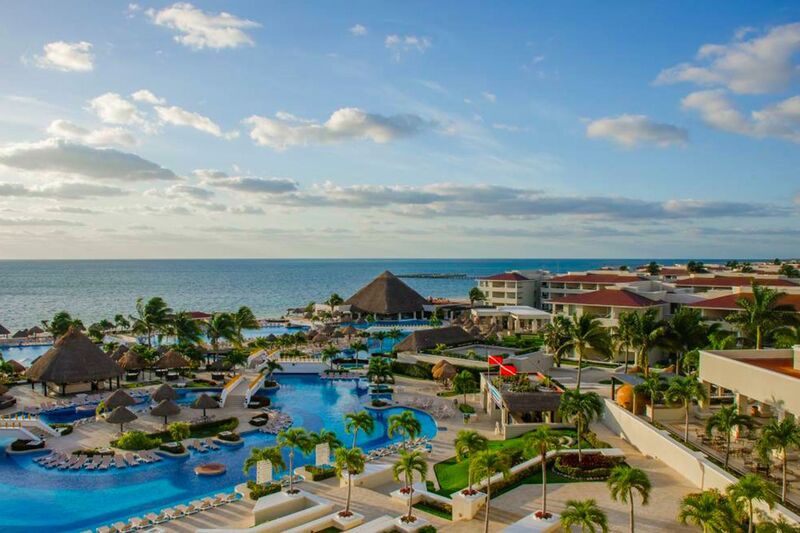 The resort features seven outdoor swimming pools, a kids’ club, a teens’ club, extra amenities for families, family suites with nanny service (like its sister, Beach Palace Cancun), kids’ menus and more — all right on the beach and within minutes of Cancun International Airport. The Royal Haciendas is separated in two halves, with many of the amenities doubled — which means guests don’t have to walk far for restaurants and pools. Plus, the resort never feels crowded. The family rooms can comfortably fit groups of three to six and contain family dining areas and balconies, many with gorgeous views of the ocean. There are so many family activities on offer at The Royal Haciendas, from the dedicated kids’ and teen clubs, to yoga and diving. There’s a fully stocked mini supermarket onsite for necessities, and there’s a good selection of quality restaurants. The hotel owners go out of their way to upkeep the surroundings at this resort, and vacationers will discover the real jewel of the trip to The Royal Haciendas is the incredible beachfront with six pools in which to swim. AZUL Beach Resort is one of the many Karisma Hotels and Resorts properties dotting the Mexican Riviera, but this one is our favorites. The smallest and quietest of the bunch, AZUL Beach feels like an oversized spa; yet, it welcomes families. In 2015, the hotel launched a Nickelodeon Experience, which added special events, programming and themed fun with Dora, Spongebob, and the Teenage Mutant Ninja Turtles! The resort caters to all ages, with special in-room baby amenities available for its youngest guests. Dreams Tulum Resort & Spa provides something for every age group, from kids’ clubs and an ocean trampoline for youngsters (OK, maybe adults, too) and a lovely spa and cocktail-making classes for parents. Of course, there’s a plethora of activities for the whole family to enjoy together, such as water sports, swimming pools, dance lessons and themed dinners. The resort offers a wide array of accommodations, including an adults-only section — we’re looking at you, grandparents. 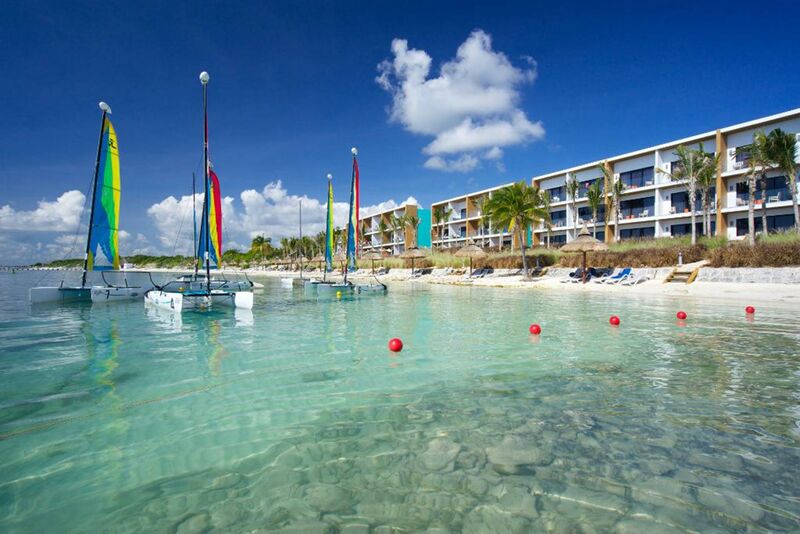 Seadust Cancun Family Resort is a paradise for families, with ziplining, rock climbing, pools, a water park and of course, a pretty expanse of beach — all covered in nightly rates. 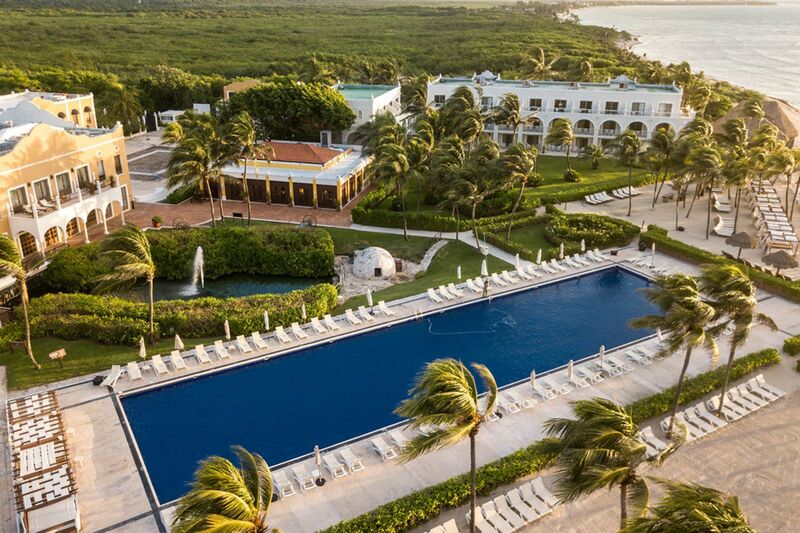 Water sports, diving excursions, an expansive fitness center and a spa with kids’ treatments are also offered at this all inclusive Mexico family resort, formerly the Great Parnassus Family Resort. There are a total of 505 spacious suites with free Wi-Fi. 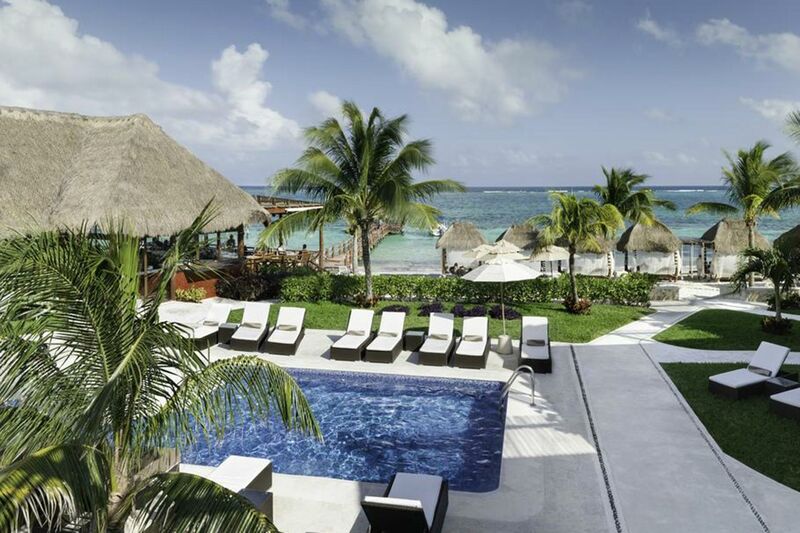 One of the first names in family-friendly, all-inclusive fun, Club Med Cancun Yucatan always has families in mind. 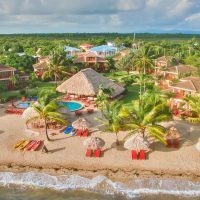 The luxury resort offers oceanfront Family Suites, a playground, fantastic kids’ clubs for various age groups, water sports, a lounge for nightly entertainment and a reservation-only restaurant. The resort is also known for its friendly “GOs” (Gracious Organizers), who act similar to luxury camp counselors, organizing special activities and making guests feel welcome. Let’s not forget the flying trapeze, either — a unique, can’t-miss opportunity included in rates! This isn’t your grandfather’s all-inclusive resort. Le Reve is a beachfront, boutique hotel that welcomes families with children with open arms. Although it only has 25 rooms, there is a decent amount of choice among the ones on offer. 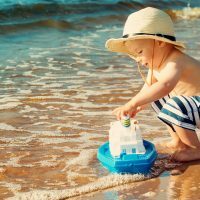 Choose from beachfront bungalows, balcony suites or ground-floor guestrooms with private front lawns suitable for children to play in. Foodies may be glad to know there are no buffets on offer at La Reve; if you choose the all-inclusive option, you are entitled to anything from the a la carte menu, along with unlimited drinks. Given the small size of the resort, guests quickly become part of the family, and the friendly staff are great at ensuring families have a particularly special stay.